I have two projects with Minecraft. When I started to blog about the first project I couldn't see any interest from the world what I'm doing in little Finland :) but I had to change that opinion pretty soon. 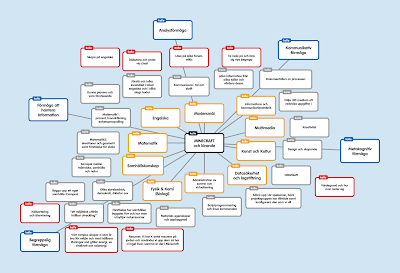 Therefor the first mindmap was in Swedish but the second one, the updated one, is in English. But I aimed a bit too low. 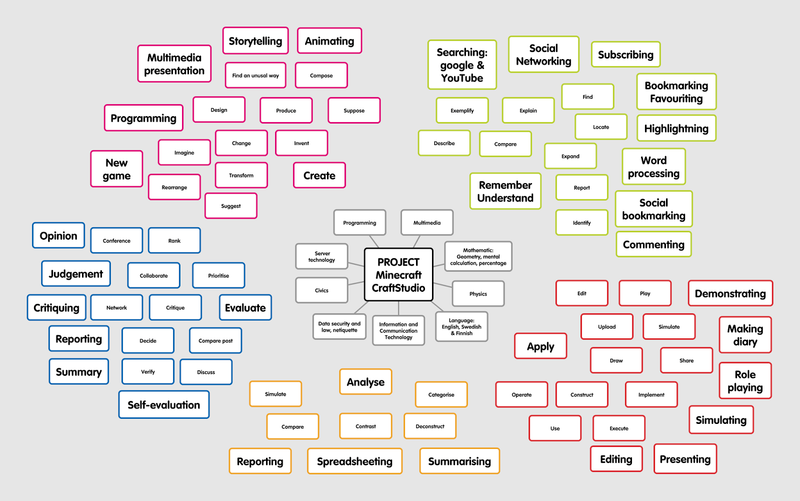 It turned out be be possibly to include lots of more subjects and courses. In the first project we rent the service from HostHorde but in the second project we have built our own server. 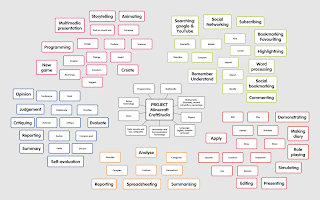 The second project also include CraftStudio, it takes a game to create a game. 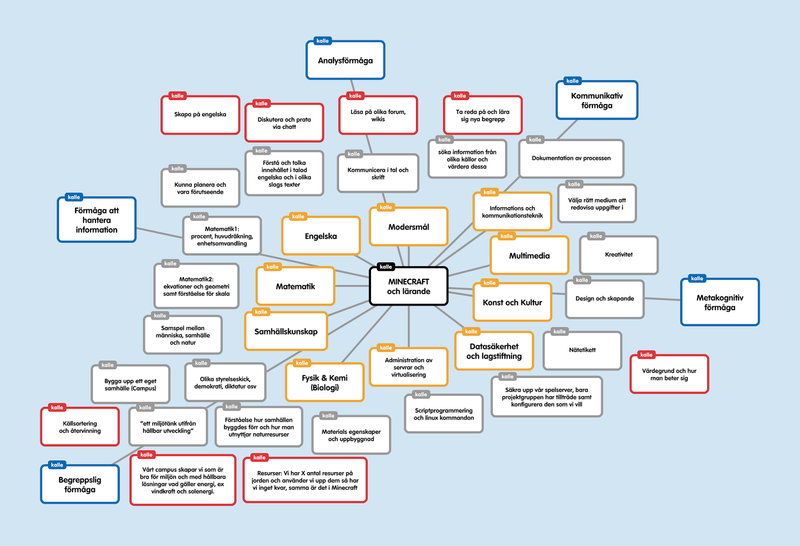 Anyway, that mindmap has subjects in the middle but not in any order. 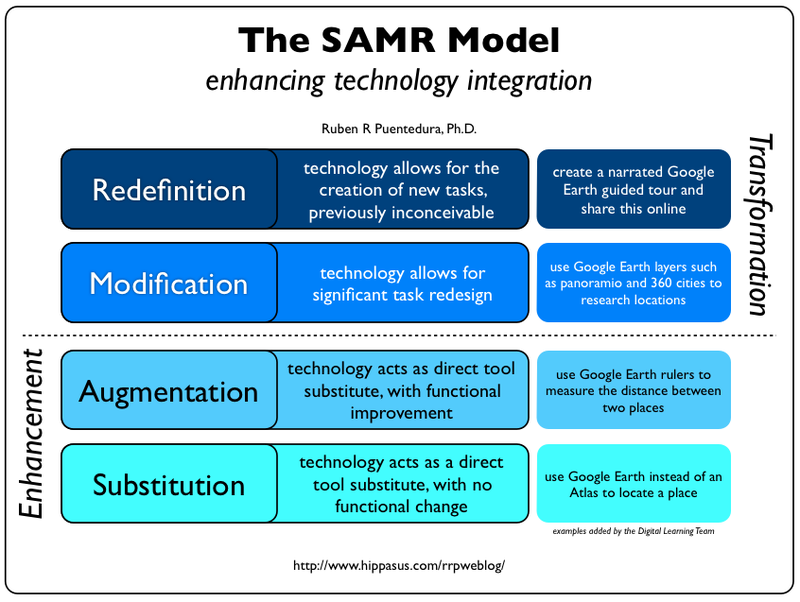 I've been looking at the Padagogy Wheel V3.0 to see what I can connect to my courses and SAMR Model.